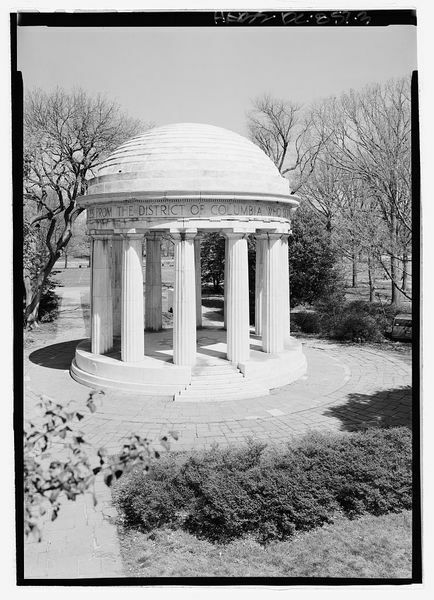 “Mall Weddings,” Histories of the National Mall, accessed April 23, 2019, http://mallhistory.org/items/show/530. Since 1976, the National Park Service has allowed weddings and other special events to be held in 3 areas: the DC War Memorial, the George Mason Memorial, and the west lawn of the Jefferson Memorial. Anyone reserving one of these spaces must pay an administrative fee and abide by National Park Service rules meant to protect the property. During the government shutdown in October 2013, the Mall, like all national parks, was closed for public events forcing at least one couple to relocate their wedding. In 2014, 148 permits were given to couples who wed near the majestic monuments.